Hunters know mast-bearing trees are the new must-have attractant for wild game, both big and small. With springtime upon us, now is the time to order from Chestnut Hill Outdoors’ carefully selected stock to get the most of the spring growing season. Mast-bearing trees – those that produce nuts or fruit – provide wildlife with natural nutrition while drawing more animals to your hunting sites. Chestnut Hill Outdoors cultivates and grows trees that offer excellent mast production, hardiness and blight resistance, ensuring you get the most value and satisfaction from your investment. Studies have shown that chestnuts, once the most common mast-producing hardwood in the eastern U.S., are nutritionally superior to acorns, containing approximately 40 percent carbohydrates compared to 10 percent for white oak acorns, 10 percent protein compared to only 4 percent for white oak acorns and 2 percent fat, compared to 10 percent in acorns. They grow faster and produce fruit at a much younger age, 2 - 5 five years compared to as much as 20 years for some white oaks. They also grow bigger, potentially reaching 60-80 feet tall and becoming prolific mast producers. They lack the cyclical nature of oaks and flower later in spring, after late frosts that could cause widespread acorn failures. Last but not least, Dunstan Chestnuts are known for their proven blight resistance and superior nut quality. 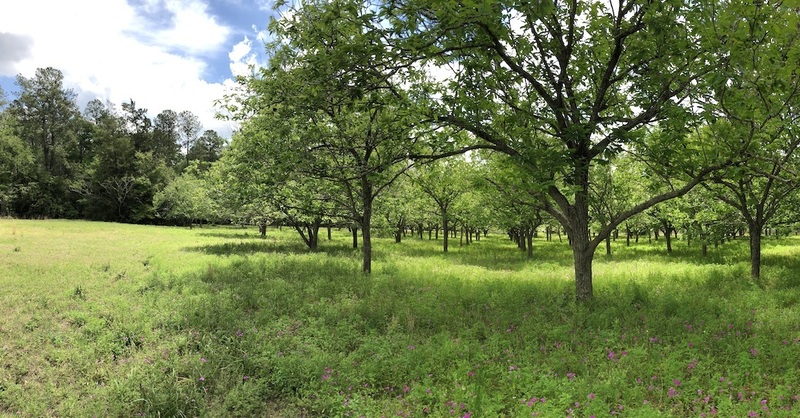 Chestnut Hill Outdoors, exclusive producers of the Dunstan Chestnut, times its shipments to arrive in different plant hardiness zones at the optimal time for spring and fall planting. These trees are extremely popular and will sell out quickly, so be sure to get yours early. Whether you’re interested in apple trees, pear trees, persimmons, oaks or the world-famous Dunstan Chestnuts, Chestnut Hill Outdoors is the go-to source for the best wildlife-attracting trees available. Don’t let another growing season go by without creating the perfect food-plot lure for your fall hunting. To order, go to ChestnutHillOutdoors.com and select the type, quantity and even the age of the trees you’re looking for. Your carefully packed trees will be shipped to your door, ready for planting. Or you may call Chestnut Hill at call (855) 386-7826.